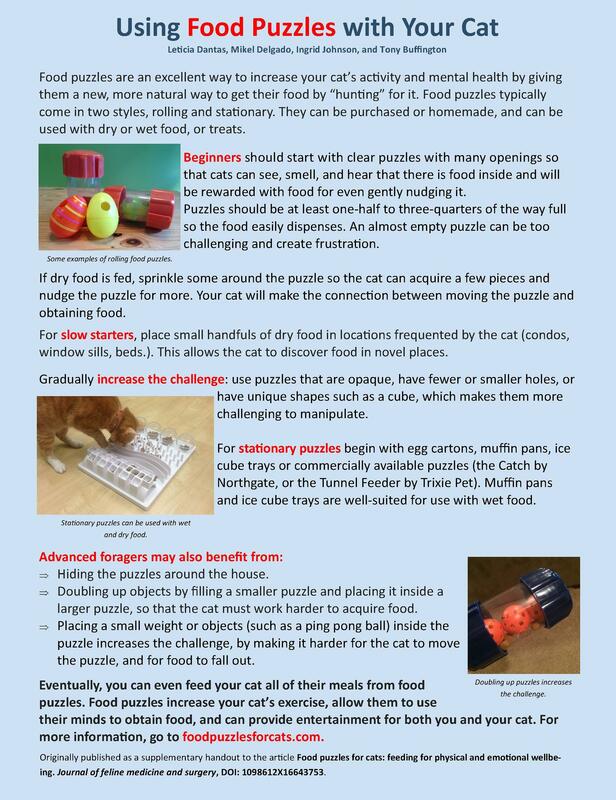 I'm excited to share this handout from a paper I co-authored for the Journal of Feline Medicine and Surgery on helping clients use food puzzles with their cats! The final version is available at the publisher's website. As a supplement to the article this handout was created and you can download and share with others! 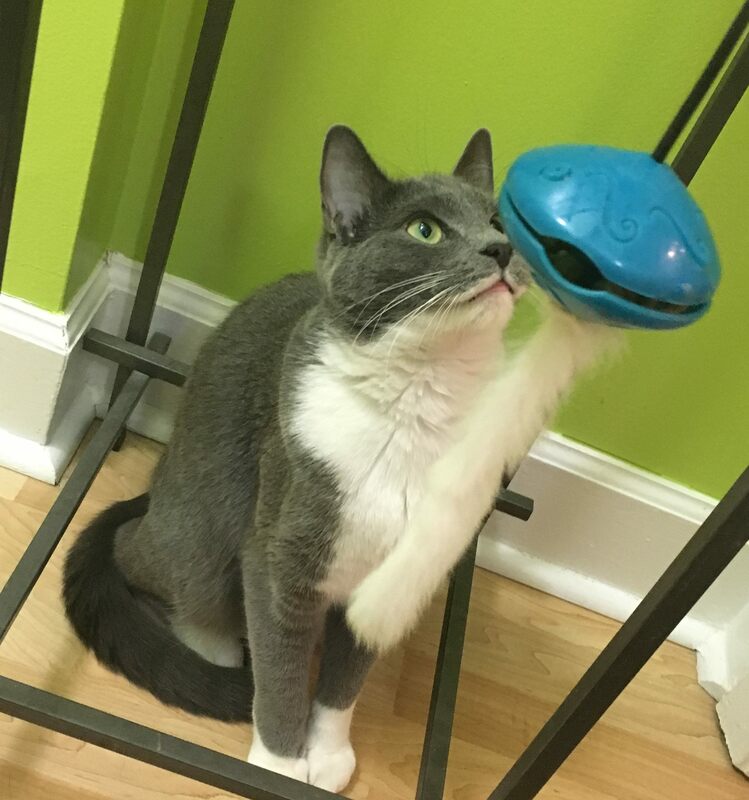 Please feel free to distribute so more cat owners, veterinary professionals, behaviorists and shelter staff can learn about the importance of this type of enrichment.